Change isn’t easy, and learning new habits isn’t something that is done overnight. Much like any other habit, it requires passion, persistence and determination. One of the habits of the wealthy is about goals. 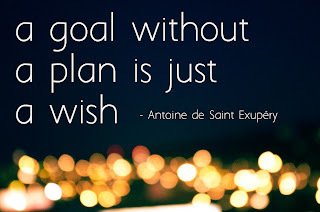 Goals are dreams or wishes that we want, but they are realized and written down. Goals are defined as the object of a person’s ambition or effort; an aim or desired result, according to dictionary.com. Wealthy people tend to write down their goals, and focus on the process, even if it is extreme or seemingly unattainable. In fact, Grant Cardone, author of The 10x Rule, says that goals need to be big, ten times the size as one that you think you could attain. 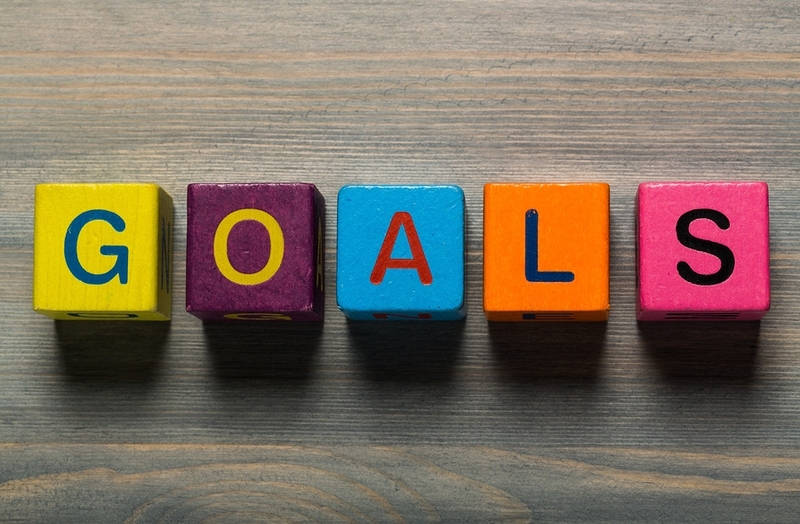 This is not to say you should only have one goal. You can have many – in fact, write down as many as you can think of, because the purpose of doing this is to reach your goal, so you will need another and another to aim for as time goes on. What this does mean is that wealthy people keep their goal in their mind at all times, and use situations throughout the day as inspiration on how to attain that goal. Keeping your mind open to possibilities might mean goal #2 is actually part of #4, and a subsection of #1… see? That list might be handy after all. Part of writing down your goals is ensuring you are using specifics. “I want to be wealthy” is not the same as “I want to invest $100,000 over the next two years, and I want to fund this project by opening a side hustle where I offer pies and pastries to churches.” Just an example, but you get the idea. The wealthy are deliberate, dedicated goal-setters. Corley states that 62% of rich folks focus on their goals every day, as opposed to 6% of poor people – and 67% of the wealthy put those goals in writing. 5 Daily Habits of Highly Successful People report that 70% of the wealthy pursue at least one major goal (see? You can have more than one). Only 3% of the non-wealthy do this. I shared a number of them with you earlier in the year. I have decided what my focus will be for 2018: Money working for me. This means I need to attack consumer debt. Credit cards, loans and car loans are all getting the scrutiny this year. Another area of focus will be for the future me: investing into my future. Hey XB, what’s your plan? I have a book I am publishing through Amazon: Build Your Business, Grow Your Team, and Make More Money in 30 Days and there will be a few more after that one. Another goal is I want to read more, both for pleasure and for self-improvement. I have actionable goals for my blog and I want to grow this community. I am hoping to provide quality content that will help readers and bloggers alike. Understand that this habit is more about you making the decision to live intentionally, and less about how to fit it into your life. Once you have chosen a goal or two to focus on, we can break it down into steps to help you achieve it. 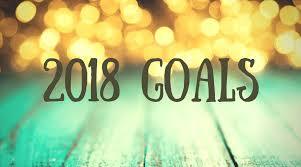 Share your goals with me, and let’s talk about them! Don’t stop at just writing them down; let’s make it the year it happens for you. I am not wealthy. Like my page summary, I say I am too poor to be wealthy, but too wealthy to be poor. Neither word truly defines my status here on earth, however I am content with that right now. My goal is to be wealthy, in the financial sense, so that I may give back to those not as wealthy, and so that I may be my most authentic self. I will confess: I googled many lists of “habits of the wealthy” and chose ones that I felt would help the most people who are in shoes similar to mine. Over time, others may become more prevalent or necessary to work into my life, which will be fodder for another day. I will explain the habits I have chosen and how I have implemented them into my life so that you can do the same. Prior to the end of 2017, I was taking 10-15 minutes in the morning to listen to guided meditation on an app called Insight Timer. This app is fantastic: it’s free, you can search by topic, timer, guided or instrumental, etc. I found the time to be well spent: I would focus on the day ahead, clear my mind of the night cobwebs, and remind myself that the day is starting, and it has the potential, the right to be a fantastic day. Over time, I have fallen from the habit, and I should revisit it again. I originally sought out the positive starts to my day as a way of dealing with a stressful 9-5 job. First thing in the morning, I would listen to a short, guided meditation session, and “snooze” in my bed for another 5-15 minutes. If I felt refreshed and positive, I would start my day thereafter. Sometimes I needed a bit more, so I would either listen to a second one, or I would go to a podcast called Morning Mindfulness, a quick 2-3 minute podcast that is quirky and talks about gratitude or other life reminder, and ends with a breathe and smile reminder. This I would listen to while my coffee brewed and started breakfast. If I needed more, then I would “rinse and repeat”. The time used for this healthy habit is not any more time than I would normally use, but used in a different way. It is easy to reflect and redirect thoughts while making coffee or pouring cereal. The difference is actually making the change and doing it. Always my “why”. This is my happy place.